In an encouraging development, State Auditor Pat McCarthy is conducting a performance audit of Sound Transit. Performance audits are done to ensure that tax dollars are spent as cost-effectively as possible. They are authorized under Initiative 900, a measure voters approved in 2005 that dedicates 0.16 percent of the state sales tax to fund these audits of state and local government. Such reviews should be done regularly for Sound Transit, the most expensive public project in Washington history. They are especially needed for an agency that missed cost estimates by nearly $1 billion over the last two years. 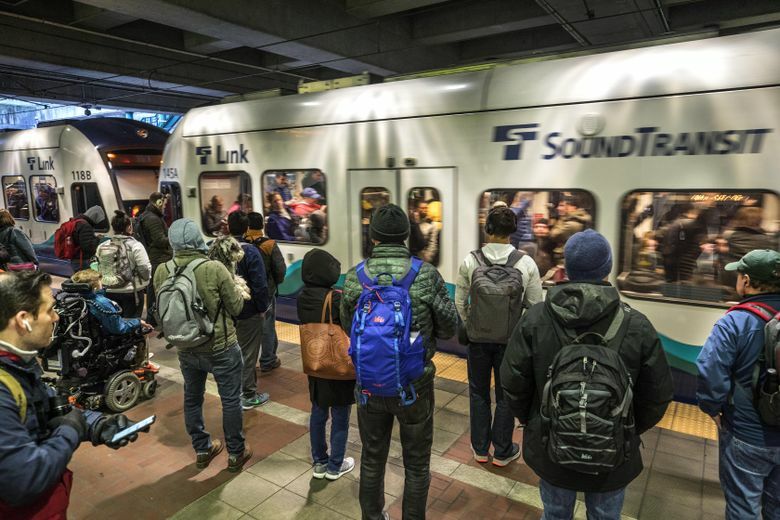 Last July, Sound Transit disclosed that extending light rail to Federal Way would be $460 million over budget, with estimates rising to $2.55 billion. A year earlier, the agency disclosed that its Lynnwood rail extension was $510 million over budget. Then it found $200 million worth of savings. That still left a $300 million shortfall and raised questions about the agency’s cost estimating, how much fat was included in projects and how much cost risk was disclosed to voters in 2016. That’s when they decided to give Sound Transit another $54 billion. Simultaneously, some voters and legislators took issue with the agency’s use of an outdated and inaccurate method to calculate vehicle-licensing fees. Then there’s the ongoing question of whether Sound Transit’s board should be directly elected, to be more accountable to voters. These are all topics that could be addressed by the performance audit. Under state law, performance audits must identify cost savings and whether any services can be reduced or eliminated. They must analyze gaps or overlaps in programs, the feasibility of pooling technology systems and whether any agency roles and functions are redundant. Audits must also analyze performance data, performance measures and self-assessment systems, and identify best practices. This analysis should be welcomed by Sound Transit skeptics and advocates alike. Identifying waste makes dollars building and operating the transit system go further. Audits also build trust through accountability and transparency. The state’s last performance audit of Sound Transit, in 2012, looked at management of its capital spending program, spending contingency plans, the role of its citizen-oversight panel, changes made to the ST2 plan presented to voters and the reliability of ridership forecasts. It found the plan changes acceptable but questioned forecast reliability. It also raised concerns about the transparency, potential bias and influence of the oversight panel. A previous performance audit, in 2007, found $5 million worth of unnecessary costs and identified several areas of concern, including a lack of formal procedures for evaluating consultant performance. Accountability of consultants is important, especially since some helped fund and lead the political group, Transportation Choices Coalition, that led the campaign for ST3. That 2007 audit sought to answer questions that are just as relevant in 2019: Is Sound Transit effectively planning, designing and managing Link Light Rail to minimize all costs associated with the project, minimize unnecessary change orders and delays that increase costs, and ensure the project most closely resembles the project approved by voters? This knowledge is particularly needed as Sound Transit firms up its breathtakingly complex and costly plans for new rail lines through and beneath central Seattle. McCarthy is a former chair of Sound Transit. Assuming she harbors no loyalty, her insight into the agency’s organization and culture could make the audit even stronger. This audit is also an opportunity to demonstrate the chops of Scott Frank, a national leader in performance auditing McCarthy hired away from Kansas last year. With Sound Transit’s spending and agenda dramatically larger than it was in 2012, it’s past time for another scrub. The public eagerly awaits what should be the most thorough and expansive performance audit of Sound Transit to date.